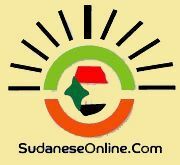 Ismail, who is currently visiting China, expressed on Wednesday Sudan's willingness to encourage Chinese companies to import Sudanese products by participating in the First Chinese-Arab Fair scheduled to be held from 15 to 19 September. He added that the exhibition also provides an opportunity for Sudanese side to consider the Chinese products and looking for the Sudanese market needs of Chinese products. He pointed out that Khartoum's government has taken a number of administrative and legal procedures in several areas that will benefit foreign investors, especially Chinese investors. "All of these actions will benefit the Chinese investor, especially in the agricultural field."